It vacuum packs any product introduced in a plastic bag and closes it inside the chamber with an aluminium clip. 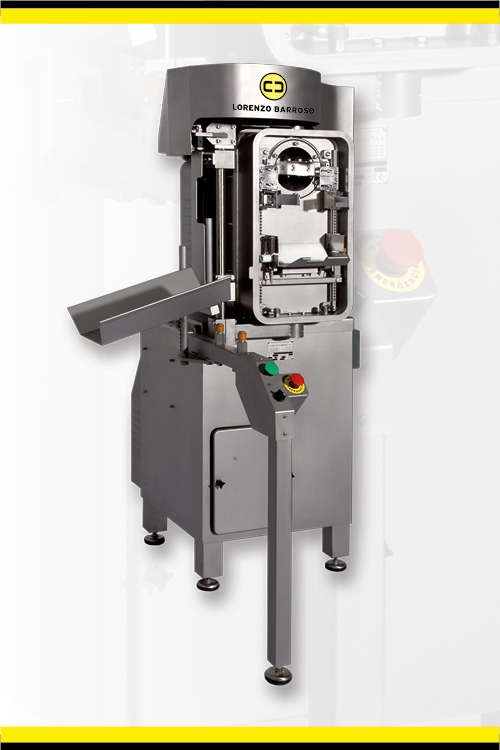 By the sole introduction of the product in upright position inside the chamber, the HELVAC DA performs the entire vacuum packing process, the clipping and trimming of the excess bag material. The full innovative system of the continuous-acting swing door allows placing a new product while the previous one is being vacuum packed, to automatically withdraw the finished product, and introduce the new one. Following our standards, its devices and elements are protected by our own patents. In order to improve the machine, we reserve the right of modifications without prior notice.